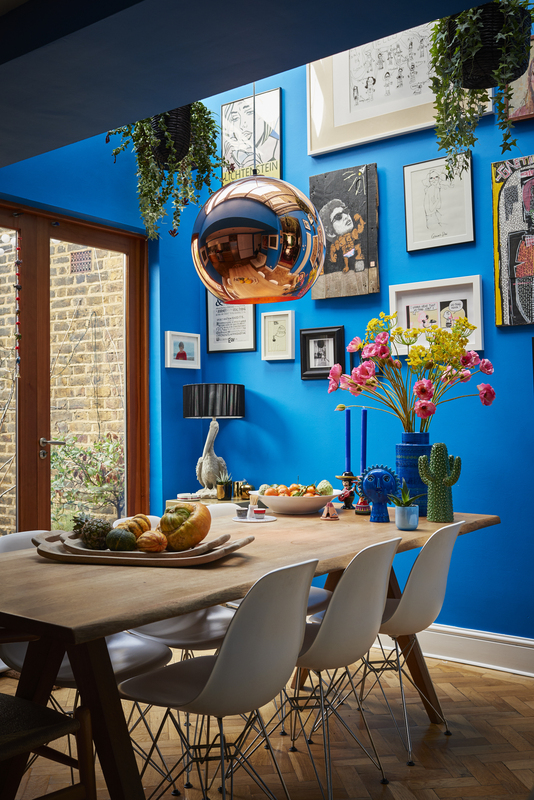 Colour’s officially cool – according to the decor experts – but it takes guts to plunge into the palette and experiment in rooms. 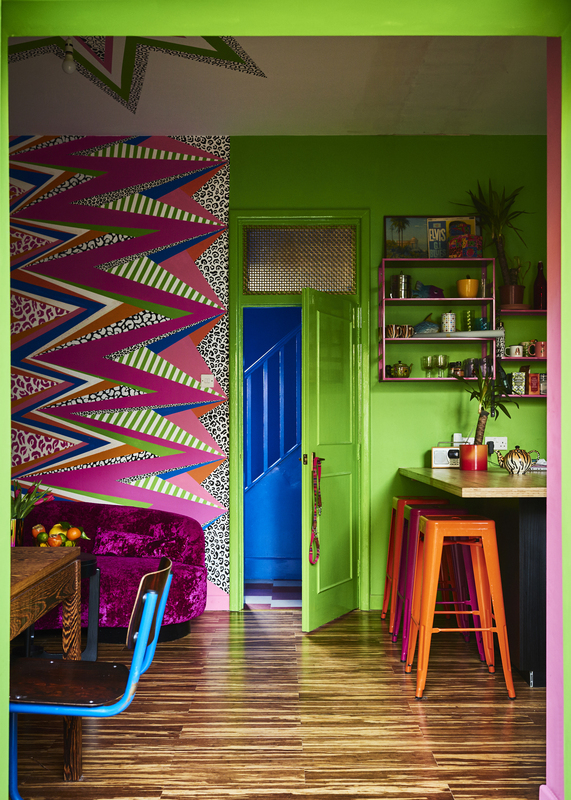 Banish the fear and do it anyway, declares Emily Henson, interiors stylist and author of the aptly named, Be Bold: Interiors For The Brave Of Heart, which is a celebration of homes with “joyful patterns, gutsy colour choices and exhilarating paint treatments”. Their owners, she says, enjoy homes which contain daring explosions of colour, pattern, humour and originality, where “boldness is a way of life”. 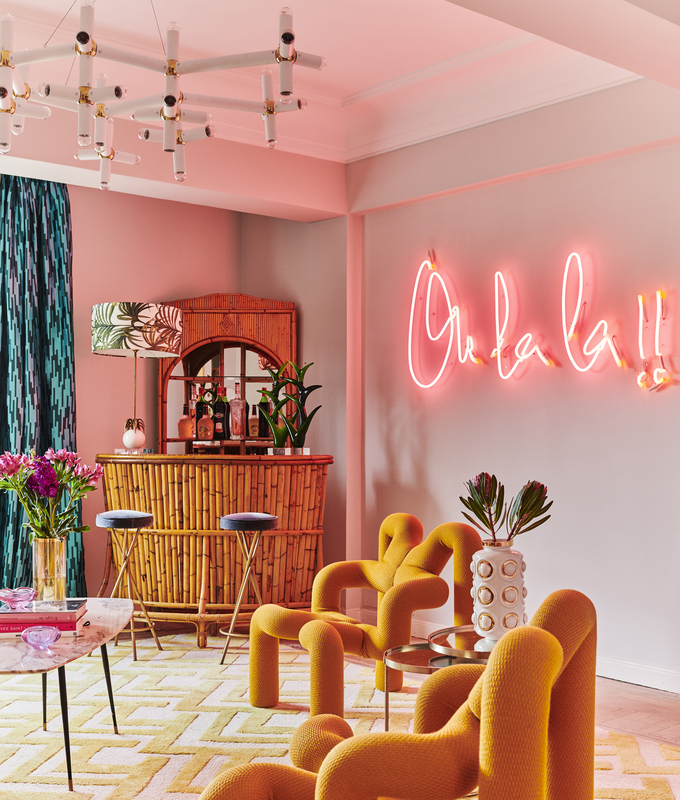 Some make a statement “with vivid paint on every surface and neon signs on the walls”, while others have “leopard print and folksy embroidered cushions clashing on a pink sofa, or window frames painted yellow in an otherwise white wall”. Whatever, she notes, bold really is beautiful. “Amy hand-painted this eye-popping mural herself, painstakingly taping off each area and alternating between stripes, leopard and solid painted sections,” Henson says. Be Bold: Interiors For The Brave Of Heart by Emily Henson, photography by Catherine Gratwicke, is published by Ryland Peters & Small, priced £19.99. Available to readers for the special price of £14 (inc p&p) by going to rylandpeters.com and using code: BOLDPA at the checkout. Offer valid until December 31, 2018.